At Market Street Animal Clinic, we are incredibly grateful for all those who have fought, those who continue to fight, and those who will fight for our freedom. This includes dogs (and other animals) that serve in the military. This is Junior. Junior spent quite a bit of time in the Middle East, serving our country. We had the honor of helping this war hero over the Rainbow Bridge late last year. Military Working Dogs (MWDs) or K-9’s have many different roles in the military and law enforcement. They can sniff out explosives and drugs, go on patrol, or be used as intimidation tactics. 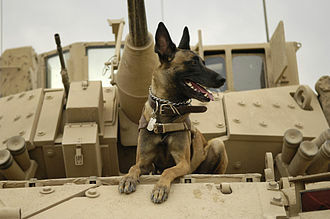 A United States Air Force Belgian Malinois on an M2A3 Bradley Fighting Vehicle in Iraq in 2007. Typically, when people think of K-9’s, they think of German Shepherds. While there are plenty of German Shepherds used as working dogs, due to their strength and agility, there are several other breeds used. 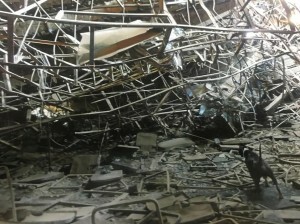 Labrador Retrievers are frequently used for drug and explosive detection. Another breed frequently used is the Belgian Malinois, which is similar to the German Shepherd, but much smaller. In 2000, President Bill Clinton passed “Robby’s Law“, which allowed the military handlers and their families the first chance at adopting their four legged soldiers. 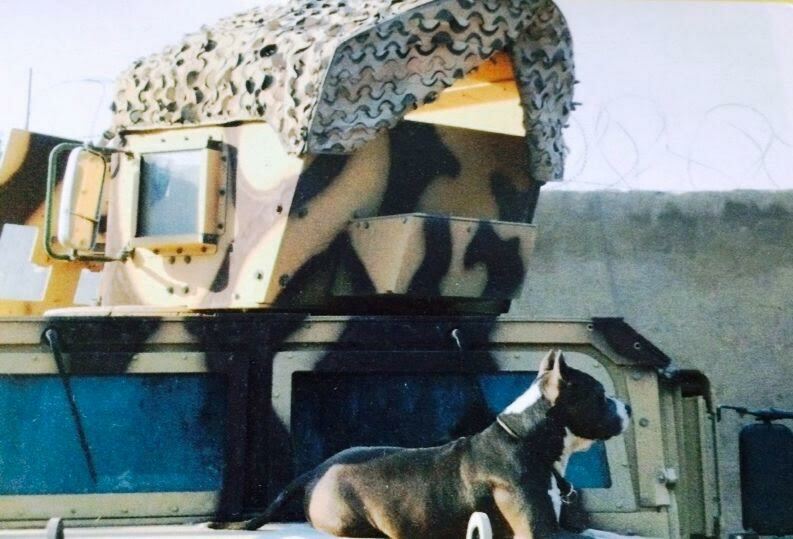 Prior to this law, military dogs were either euthanized or abandoned after their “useful service”. To all of the veterans, both human and animal, Market Street Animal Clinic would like to give our sincerest thanks and gratitude to you. We admire your strength, courage, and service to our country. Thank you. If you are interested in learning more about MWDs, check out this informative link.